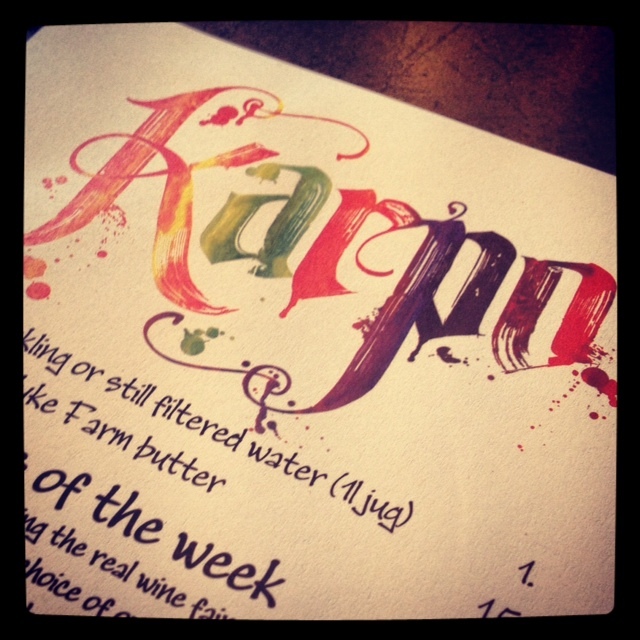 …we completely love Karpo, the new restaurant whose bold, colourful frontage greets you as emerge from Kings Cross station. Inside a vertical garden wall and an open kitchen, along with some on-trend industrial styling (concrete bar, bare walls) provides a pretty cool atmosphere. Service was fantastic, our waiter was friendly and really well informed, suggested we had the sparkling biodynamic Vouvray over the Prosecco (totally worth the extra 50p), and helping us decide between the many many dishes on the menu that we wanted. R had the much talked about Southern Fried Quail – which could be described as ‘posh KFC’ but it doesn’t at all do it justice, I had eel (amazing) and the n we shared some steak and some spiced lamb. We washed this down with a bottle of one of our favourite wines – La Pech Abuse – that we have only ever seen once on a menu at Terroirs. 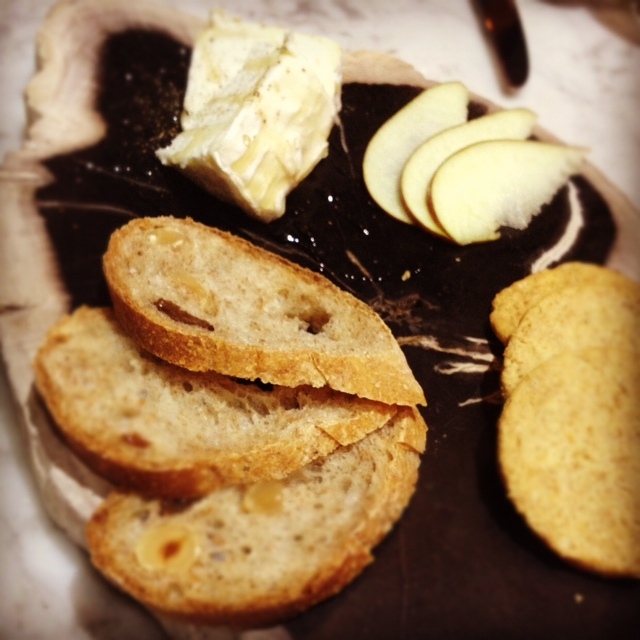 Then we finished with a cheeseboard served on a really cool stone slate (nice change from the standard wood approach), the La Tur, drizzled with honey and black pepper and served with homemade breads, was yummy. I’ve been twice since, making in three visits in ten days!